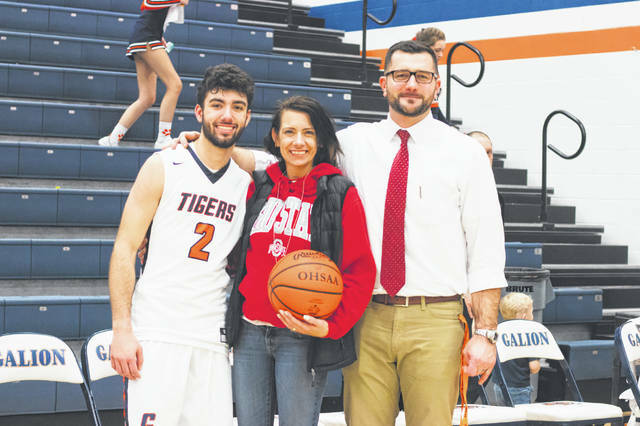 GALION — Isaiah Alsip scored his 1,000th point as a member of the Galion Tigers last week, becoming just the fifth in Galion to do so. Unfortunately, the effort didn’t help the Tigers, who lost a Mid-Ohio Athletic Conference game to Ontario, 70-55. With the defeat, the Tigers fell to 6-11 overall and 2-8 in the MOAC. After a fast-paced first quarter of action, Ontario led 17-15. In the second quarter though, Ontario’s offense and defensive quickness started to click as they began to pull away entering halftime, 36-26. The Warriors would come out of the intermission to outscore Galion 14-10 and put themselves ahead by a score of 50-36 entering the final eight minutes of play. A big, 20-point fourth put a damper on any hopes of a Tigers’ comeback, despite a monumental moment with less than a minute to go in the contest. With 49.7 seconds remaining in the game, junior guard Isaiah Alsip was sent to the free-throw line. After hitting the front-end, Alsip was just one point shy of hitting the 1,000 career point mark. With his next free-throw attempt, he would become just the fifth player in Galion High School history to hit the landmark point number. Play would be stopped as Alsip was given the game ball and Galion head coach Matt Valentine immediately removed his guard from the game. Alsip was the game’s high scorer, dropping in 17 points to go along with five rebounds, an assist and two blocks. Joining him in double-figures were senior Jack McElligott and freshman Carter Valentine. McElligott scored 13 on the night while also pulling in five rebounds, dishing an assist and swatting away two blocked shots. Valentine contributed a dozen in the loss and also had a rebound, two assists and two blocks. Galion shot 15/31 from the interior on the evening while going 6/18 from beyond the arc. At the charity stripe, the Tigers converted seven of 11 attempts. 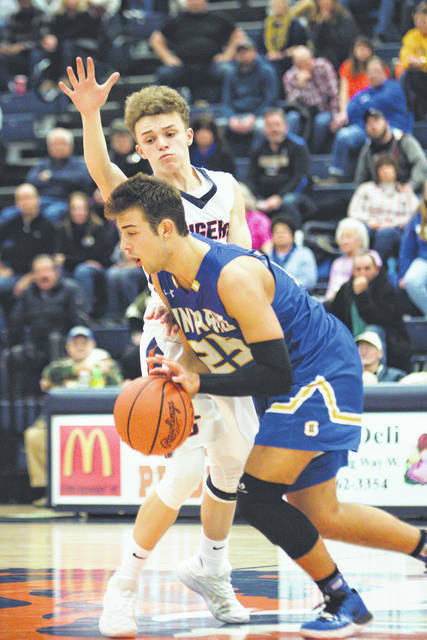 In total, the home team grabbed 24 rebounds, dished seven assists, had nine blocks and recorded seven steals but committed 17 total turnovers in the loss, many of which transitioned into points for the Warriors. Hanif Donaldson finished the game with six points, six rebounds, one assist, three steals and two blocks while teammate Carter Keinath turned in five points and two steals. 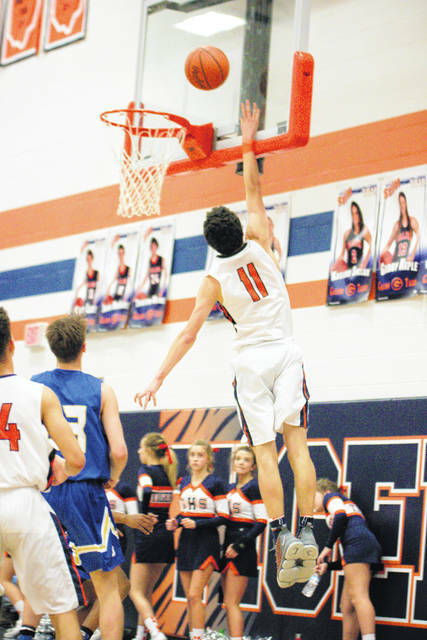 Tristan Williams rounded out the scoring for Galion with two points while pulling in five boards, dishing out an assist and blocking a shot. Rece Payne rounded out the overall stat line for the Tigers with one steal on the defensive end. Galion hosted River Valley in a makeup contest Monday. The Tigers will be on the road Thursday, Feb. 14 when they head to the hostile home of the Buckeye Valley Barons.